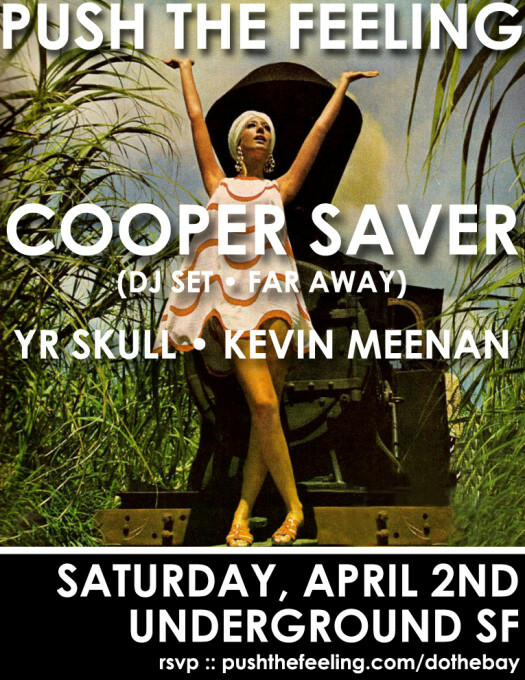 Cooper Saver is a Los Angeles based DJ and producer responsible for the Far Away party, mixtape series, and radio show on Dublab. Over the years, Cooper has brought unique and underrated talent to LA for his monthly all-night loft party – previous and regular guests include Floating Points, Young Marco, Tim Sweeney, Tornado Wallace, and many more. In addition to throwing his own parties, Cooper regularly DJs parties across the USA and Europe ranging from concert settings to warehouse raves. Apart from throwing events and releasing tapes, Cooper has been making music in recent years including remixes on DFA Records, and even started a label called Distant Works with his close friend and frequent collaborator Daniel T.